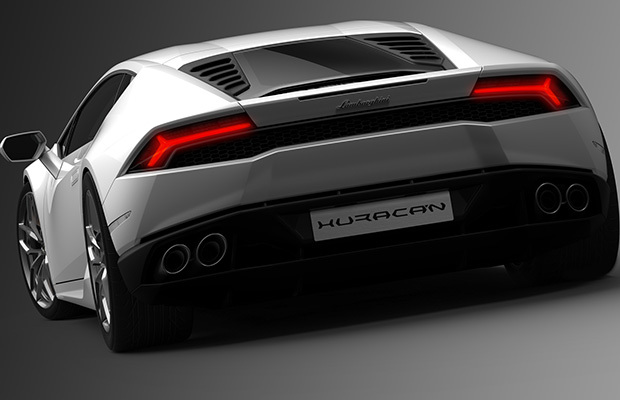 Lamborghini just took the wraps off the much speculated and much awaited replacement for the 10 year old Gallardo, and its called the Huracan LP610-4. The name is drawn from a fighting bull of the Spanish Cente de la Patilla breed called Huracan, who was well known for his outstanding courage and strong sense of attack. 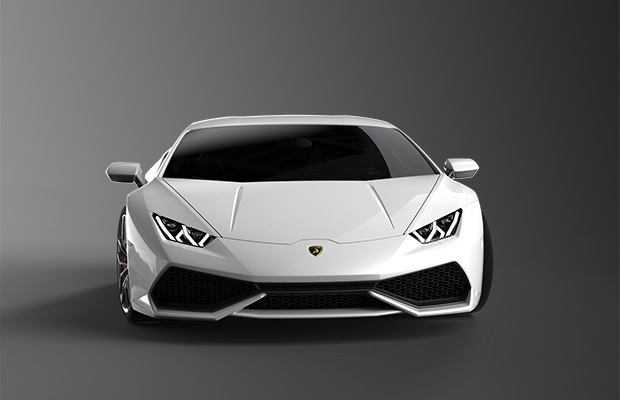 The Huracan gets an even more powerful version of the outgoing 5.2 Litre V10 from the Gallardo, and now puts out figures in big numbers: 610 bhp at 8250rpm and 560 N-m at 6500 rpm. 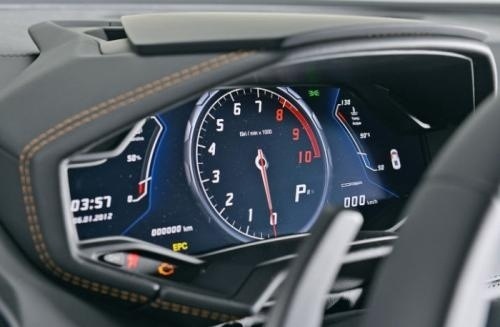 This means that the other numbers keep getting smaller: 0-100kmph: 3.2 secs, and 0-200 kmph: 10 seconds (thats 0.5 seconds faster than its direct rival, the Ferrari 458 Italia). A lot of it is down to the 7 speed dual clutch automatic transmission, called Doppia Frizione, that replaces the gated 6 speed manual gearbox. 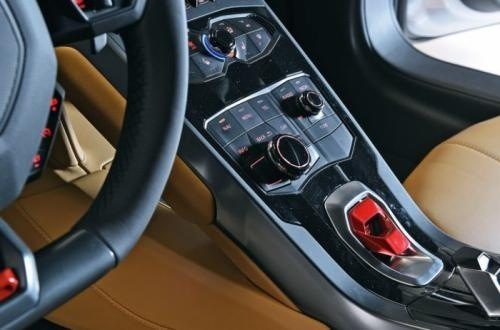 Lamborghini promises that this gearbox would give out smoother, quicker and more accurate gearshifts. 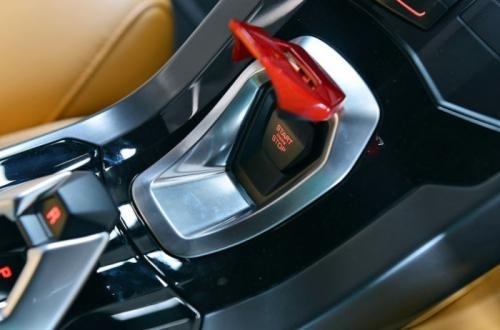 It transfers power to the new fully-electronic four wheel drive system. 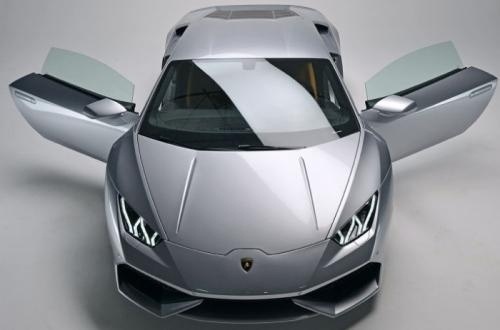 The Huracan features a hybrid aluminium-carbon fiber chassis like the R8 (the Aventador get a full CF), and weighs in at just 1422 kgs, just 12 kgs more than the car it replaces. 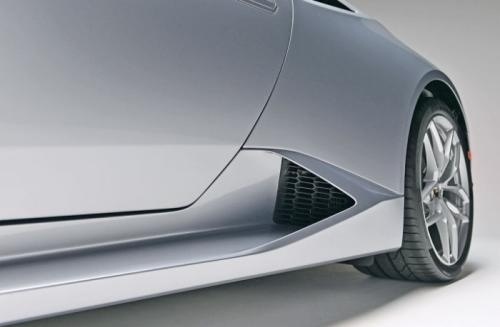 It now gets carbon-ceramic brakes as standard, a first on any entry-level Lamborghini. 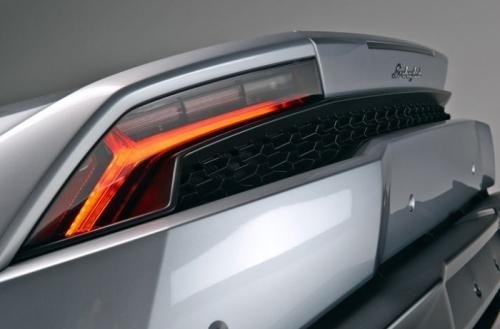 The headlamps and tail lamps are full LED units, and are unmistakably Lamborghini. A lot of work has also gone into making the car reduce emissions. 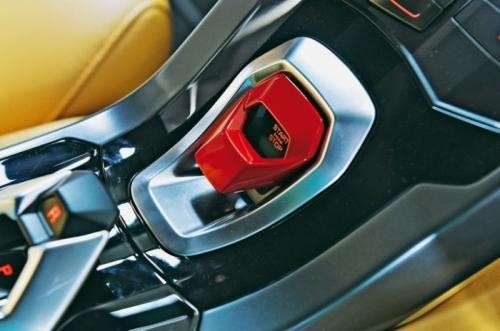 Lamborghini has also introduced a start-stop fuel saving system, and claims the Huracan can go ~8-9 kms per liter of petrol. The interiors are clad in a combination of Nappa leather and Alcantara, and the instrument console is pure digital and gets a 12.3 inch TFT screen that displays the speedo, nav and infotainment. 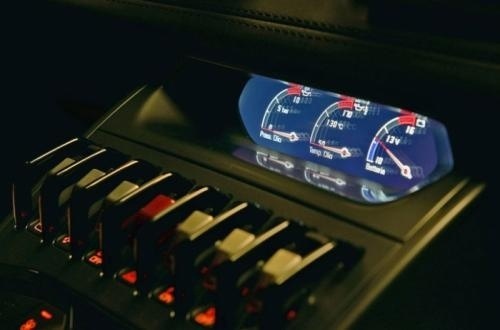 The gauge layouts can be customised by the driver, and colours change depending on the mode you are in. 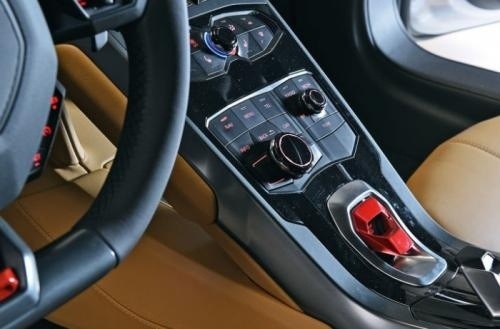 The driver can select between three driving modes via a knob on the vertical spoke of the flat-bottomed leather steering wheel viz Strada (street), Sport and Corsa (track) . This affects the gearbox and engine behavior, four-wheel drive performance, sound, and stability control, so you can travel to the track, go all out insane on the track, and drive back home in it. 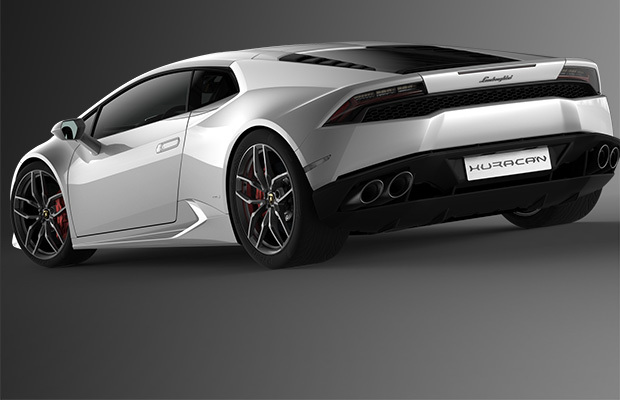 The blend of insane power, low weight and brand new tech will ensure that the Huracan LP610-4 carries the legacy forward, and will be an extremely intoxicating car to drive. 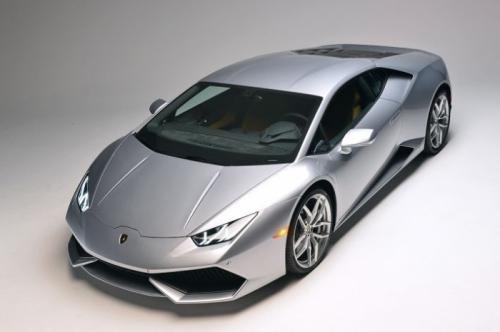 The 2015 Lamborghini Huracan LP610-4 will debut at the 2014 Geneva Motor Show, and will go on sale late 2014. 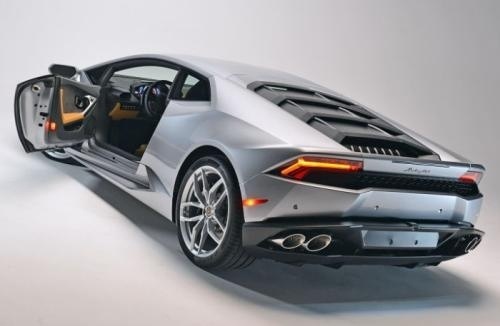 Starting January, Lamborghini will conduct more than 130 private previews in more than 60 cities worldwide, as they believe that the Huracan can post higher sales figures than the Gallardo (The Gallardo sold 14022 units in 10 years). 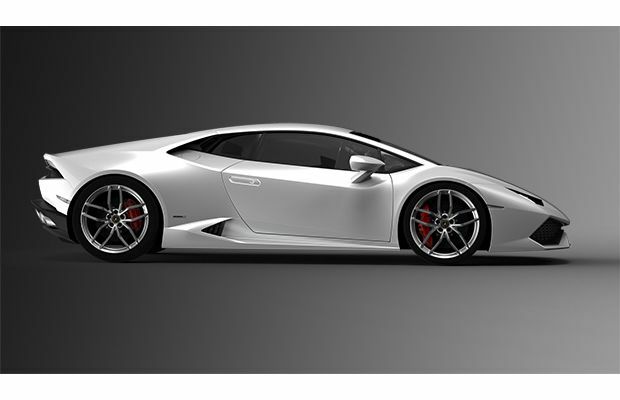 Frankfurt Motor Show Launches: Lamborghini Huracan Spyder !!! 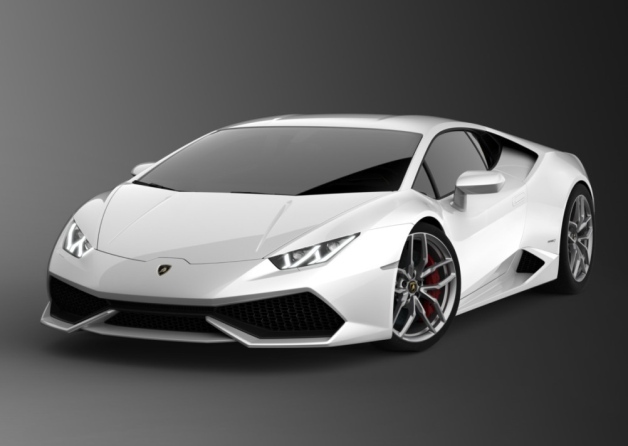 Lamborghini Huracan LP 580-2 launched at INR 2.99 Cr.